When an evil darkness enshrouds the land of Hyrule , a young farm boy named Link must awaken the hero - and the animal - within. When Link travels to the Twilight Realm, he transforms into a wolf and must scour the land with the help of a mysterious girl named Midna. 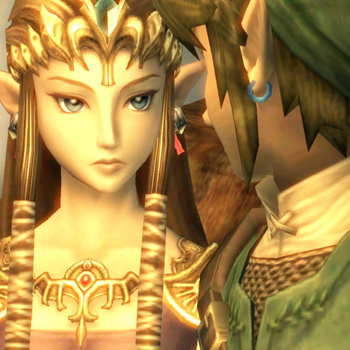 Using the power and unique control of the Wii console, The Legend of Zelda: Twilight Princess features precise aiming control using the Wii Remote. The Wii Remote and the Nunchuk controller are used for a variety of game activities, including fishing and special sword attacks. Players ride into battle against troops of foul creatures using an amazing horseback combat system, then take on massive bosses that must be seen to be believed.